The recipients of Canada's prestigious Governor General's Performing Arts Awards were announced today in Ottawa, and Tegan and Sara are among this year's honourees. The duo will be presented the National Arts Centre Award for their pop success, as well as their advocacy work for equality. 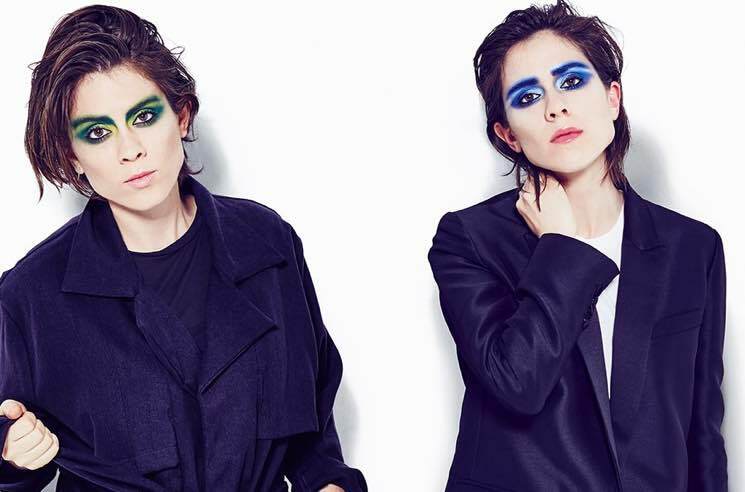 As previously reported, the twin two-piece created the Tegan and Sara Foundation back in 2016 to support women and the LGBTQ community. They took to Twitter earlier today to acknowledge the announcement. The band's last record arrived in 2016 with Love You to Death, though sisters Tegan and Sara Quinn were toasted by their peers on a 10th anniversary cover version of The Con last year. In addition to Tegan and Sara, a number of other talented Canadians will receive lifetime achievement awards, including singer-songwriter Murray McLauchlan, SCTV producer and Second City CEO Andrew Alexander, actress Genevieve Bujold, National Arts Centre president Peter Herrndorf, pianist Angela Hewitt and dancer/choreographer Ginette Laurin. Florence Junca Adenot will receive a special voluntarism award. Three events will take place in Ottawa to honour the Governor General's Performing Arts Awards winners, ending off with a gala at the National Arts Centre on June 2. Find full information on the awards and the upcoming ceremony here. Tegan and Sara Premiere Video for City and Colour's Cover of "Hop a Plane"